We all deserve a bit of luxury from time to time, and this is defiinitely an item that has sumptuousness oozing from every fibre. This winter time when you are cosied up in front of the television or with a good book and a glass of something tasty, by the fire or next to the Christmas tree. Why not add that something special a luxurious throw to make you feel special, warm and snuggly. You can be selfish and keep it all for yourself, or it might be fun for two! Made from 75% acrylic, 25% mod acrylic and backed in 100% polyester Dry Clean Only. 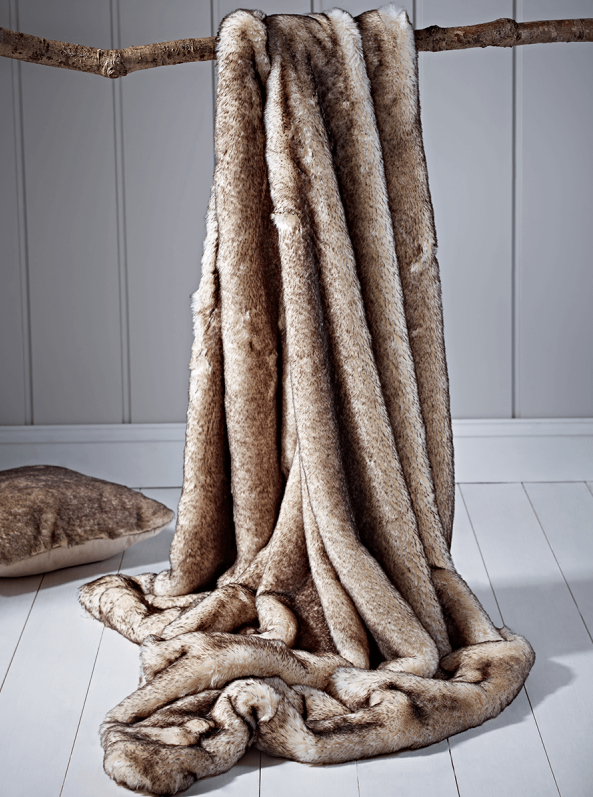 This Supersoft Faux Fur Throw – Snow Fox is available from Cox & Cox for £250 opulent, but worth it.